While researching an EdgeSight agent install issue I came across this great CTX article. I would bookmark this page for future reference. CTX113514 – How to Determine the Version of the Installed EdgeSight Agent – Citrix Knowledge Center. This document describes how to determine the version of the installed EdgeSight Agent and where to find the EdgeSight Agent software. Below are the EdgeSight Agent versions as of May 2011. 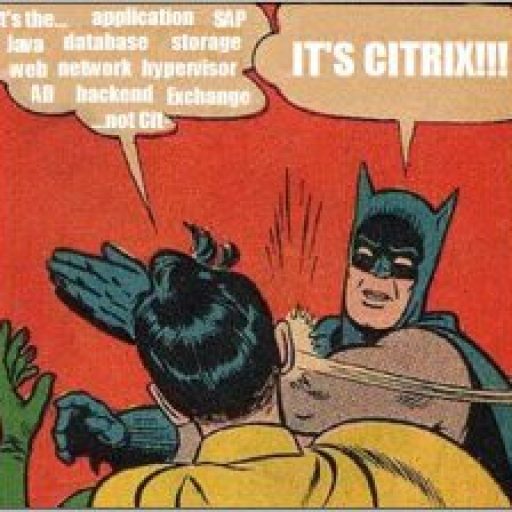 The RTM release and service packs are downloaded from Citrix.com. It is not necessary to install the RTM release prior to installation of the Hotfix. • The Hotfix is downloaded from the public Knowledge Center site, using the designated CTX article. • Each specific component is downloadable from a separate individual CTX article. • Each EdgeSight 5.3 Hotfix is a full installation (can run as new installation or upgrade installation; does not require previous EdgeSight 5.3 versions). • To subscribe to a Hotfix, the subscriber selects a method under Resources (such as “Add to your hotfix alerts” for email notification) after choosing the product line (such as http://support.citrix.com/product/es/xav5.3/ for EdgeSight for XenApp/XenApp 6; http://support.citrix.com/product/es/epv5.3/ for EdgeSight for EP/VDA). • Currently EdgeSight Hotfix is distributed in the form of a MSI installer. Using the EdgeSight web console, navigate to the Configure (tab) > Company Configuration > Device Management > Devices. From the Show: drop-down menu, select EdgeSight Version/Functionality. The Device name is shown with the corresponding EdgeSight Version. Upon startup, the first line that it writes to this log file contains the EdgeSight core version. Old Versions Memo: The agent is a multi-product architecture with a core component and an extension component. The only extension component available is EdgeSight so this is more commonly referred to as simply the EdgeSight version. Because of these two components, you might see two different version numbers reported by the EdgeSight Agent. *Note: Some EdgeSight versions (4.5 Service Pack 2 through 5.1) become inoperable beyond March 25, 2010, because of expired digital certificates. These software versions will not function properly after this date. Version 5.1.1 or 5.2 (or later than 5.2) is required to function properly.